Is your property overgrown with tall grass and weeds? Do you want to get it cleared out to be able to use your land? Do you not know what you should do with it? Are you worried about your topsoil? Land clearing is a tough job and it will take you many, many hours of effort and frustration trying to do it all by yourself. Save yourself the time and pain by calling in a professional. A professional will make sure that the job is done right and will be more than worth your money. You will save money and time in the long run by hiring someone who can get it done quickly and efficiently. Why spend your whole weekend trying to figure out how to work equipment you might not know how to use? You could spend the day relaxing with your family or with your friends while we handle all of the tough labor. Call now for a free estimate and ask us any questions or voice any concerns you might have! I would love to put my experience to work for you! My pricing is competitive and I know how to get the results you seek. Land clearing is a brutal job, and I have the right equipment for your job. Can you imagine trying to do all the work yourself by hand? It would take forever to finish the job all by yourself. Even with the effort of a whole team, you are looking at a lot of hours of backbreaking work. Can you imagine renting out machines and spending many days trying to get accustomed to how it works? Even after figuring it out, you would still be very slow to finish the job in comparison to a professional who deals with these machines on a daily basis. Many people are not familiar with these machines, and until you see what they can do for you, it is often difficult for anyone to know what to expect. I love what I do, and have lots of experience doing it. I have been doing this for a long time and it's my passion. When somebody truly loves their job, they tend to do a great job. They don't try to cut corners. I'm proud of the work I do and it shows through the quality of my service. Your satisfaction is my priority and top notch service and work is what I strive for. When I take a job, I make sure that I can do it well. You get a guy who cares how your job turns out. I understand how important word of mouth reviews and referrals are, so I do my best to ensure that you are satisfied with my work. We do not just offer cookie-cutter services. We know that one size does not fit all, and we listen to your needs and concerns. If you have any special instructions, we will try our best to accommodate you. Give us a call for a free estimate and to talk to us about your next project. We provide efficient and cost effective land clearing. There is no reason to go through the hassle of hiring two or three different companies to come in and service your property. By going with us, you will ensure that you are getting the best service possible. It is also much more cost efficient to have multiple services done with one company. In addition to that, by having everything done with us, you ensure that your needs and special instructions will only have to be communicated to one company. This avoids the problem of a landscaping company undoing another company's work. We have many different services that you can inquire about or look at on our website. From lawn mowing to seeding to topiaries, we can custom design a project for you. 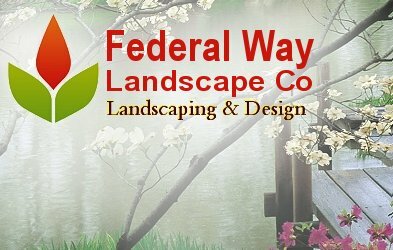 We also provide many other landscaping services as well! Check out our other service offerings and ask us any questions you may have. We are your one-stop shop to all of your landscaping needs for your property. The convenience of having everything done with one company ensures that everything is efficient and easy for you. Why bother trying to coordinate and communicate with five different landscaping service companies when you can have it all done with us? Call us now for a free estimate! If you have any questions or concerns, please ask away. We are dedicated to providing great service and we make sure that you will be satisfied with our work. We are fast, friendly, and get the job done with integrity. We are a company that earns your trust. Don't hesitate to give us a call today to find out what we can do for you.